In the 21stcentury, nurses in most countries are faced with a growing challenge: how to develop and express sufficient understanding and sensitivity to patients and colleagues who do not conform to traditional gender roles and identities. Although medical and nursing education can provide some guidance in terms of cultural competency, many such offerings focus more on racial, religious, and cultural differences among patients. Research shows that discrimination in healthcare leads directly to poor outcomes; thus, we healthcare and nursing professionals should be 100 percent behind keeping our thinking and practices up to date in this new era of gender fluidity and the questioning of long-accepted norms. While it may seem like an utterly confusing world of acronyms and terminology, basic practices allow the nurse to honor patients’ chosen lifestyles and self-expression without causing harm or offense, all while providing appropriate care. If confused about how to speak with or about a patient who falls into this growing spectrum of humanity, remind yourself that you can’t necessarily keep up with the plethora of changes. Rather, a little curiosity and humility can help tremendously when you’re not sure what to say or how to say it. Sensitive and compassionate questions are your best friend when it comes to navigating these waters. Acronyms like LGBTQ, LGBT, and LGBTQI have become commonplace over the years, and it can be frustrating when you think you have it down and a new term appears. In fact, there can even be confusion about the “Q”, as it can stand for “queer” and/or “questioning”, as in a person who is openly questioning their identity; in this case, you may occasionally see it written as “LGBTQQ”. Meanwhile, “I” may be added for “intersex” (those previously referred to as “hermaphrodite” in medical literature), and other initials and terms can be added or subtracted from common usage as thinking, norms, and the ways that people wish to be addressed morph over time. According to a Harvard University poll, more than 50% of members of the LGBTQ community have experienced either discrimination or violence – sometimes both -- related to their gender expression or identity. Add racial discrimination to the mix and the numbers soar. As healthcare professionals, we can help turn these numbers around. Make sure that intake forms allow for more than a check box for “male” or “female”. Look to LGBTQ advocacy groups for guidance. Demand training for all clinical and non-clinical staff. Be certain to include admissions, intake, and medical assistants, who often serve as first points of patient contact. Ask your facility to form a LGBTQ patient care task force. LGBTQ staff members may or may not want to participate, but should be invited to do so. Never assume that a patient conforms to your expectations regarding marital status, gender identity, etc. Gender non-conforming or “non-binary” individuals may not associate themselves with either gender (gender is often viewed in these communities as a cultural construct, not a biological imperative). Patients can also be on the continuum of transgender expression. Those in the trans community may or may not undergo surgery, utilize hormone replacement, or dress and act based on stereotypes you’ve internalized. Be open to nonjudgmentally discovering how your patients’ expression and lifestyle manifest. Assure that restrooms are not gender-specific. Remember that non-conforming gender or sexual expression can be seen across the lifespan, from school-age children to elders. Utilize resources like the learning modules of the National LGBT Health Education Center, Human Rights Campaign Staff Training Overview, the Joint Commission’s LGBT Field Guide, and LGBTQ and Allies at Harvard Medical School. The growing acceptance of the potential for fluidity of gender expression, identity, and terminology is a clue to where our culture is headed. While some gains have been made, many continue to face discrimination, provider ignorance, and substandard care. Respect, education, and nonjudgmental acceptance are key to moving forward. In light of most providers’ inability to maintain up-to-date knowledge regarding these crucial issues, we must demand ongoing education for all staff members so that competent, comprehensive, appropriate, and sensitive care can be administered. We are mandated to at least do no harm. 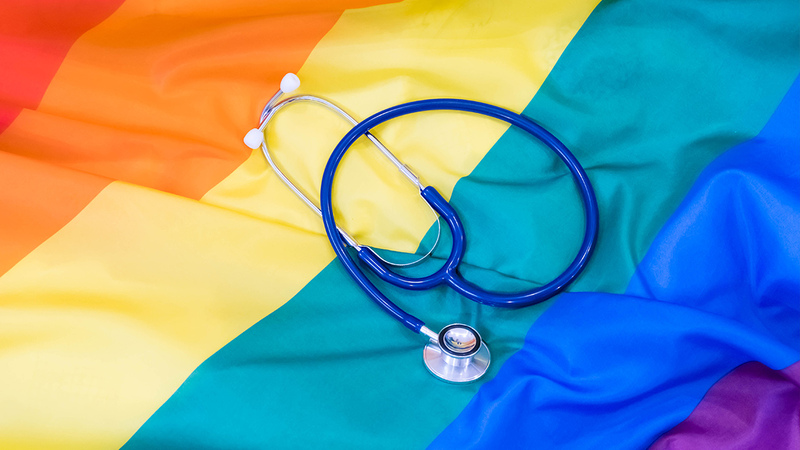 In this regard, 21st-century healthcare providers and facilities should strive to provide LGBTQ community members with access to the same appropriate and competent medical care that other patient communities have always enjoyed.